← Toby’s new book ‘Engaged Mindfulness’ is out! 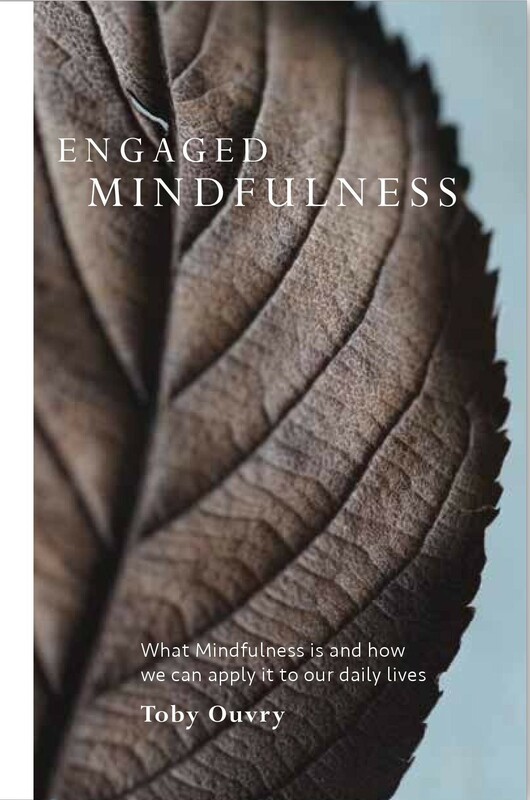 As well as the talk, actual mindfulness exercises will be included within the hour, and copies of Toby’s book ‘Engaged Mindfulness’ will be available for purchase. Toby is a mindfulness expert and the author of the book ‘Engaged Mindfulness – What mindfulness is and how to apply it to our daily lives’. After originally training as an artist, subsequent to his degree, Toby spent ten years doing his foundational training in meditation & mindfulness, specializing in the Tibetan Tradition which included five years as an ordained Buddhist monk. He has been practicing and teaching mindfulness & meditation for over twenty years. As the founder & principle facilitator at Integral Meditation Asia he delivers mindfulness programs to both the public & corporate sectors. He is a meditation & mindfulness blogger, and the author & creator of over fifteen practical workshops & courses on the subject. This entry was posted in Books on mindfulness, Integral Meditation Practice and tagged engaged mindfulness book, mindfulness book talk, mindfulness in Singapore, mindfulness meditation, practical mindfulness. Bookmark the permalink.